Sarah is so easy to talk to, and made me feel comfortable immediately. She had great feedback that was easy (and practical! )to follow. Thank you Sarah, for helping me feel I can do this! i'm very happy i took it. I though maybe, it no so necessary.... However i learned so much and now i think i can say what or waht i dont want, with more confidence. Both home visits were very helpful and practical. thank you! My visit with Sarah was extremely helpful. Sarah was very professional, thorough, and supportive throughout the visit. I felt huge relief knowing that my newborn is getting adequate milk from my breast, as proved by Sarah's digital scale weight check before and after a feeding. Sarah took the time to answer all of my questions and concerns and really offered the reassurance and support that I needed. I would (and have!) recommend her to another new moms with lactation concerns. Thank you Sarah!! Sarah was so easy to reach a few days after my baby was born. She was very knowledgeable and kind when she came to my home - completely relaxed, validated my struggles and gave me lots of great tools to help make my breastfeeding journey easier. Being that she gave me lots of information, she was thoughtful enough to send me a summary of our meeting and a host of resources. She made it very clear that she was available for support and follow up at any time - something that I really appreciate during this vulnerable time as a new mom. I'm so grateful to Sarah and the gift of education that she offers. What can I say, from a somewhat panic-stricken email written late in the night on day 3 of motherhood, Sarah was prompt to respond and set up an appointment for us within just a couple of days. Sarah is a wealth of knowledge on all things baby and breastfeeding. She is forthcoming with invaluable tips, techniques and advice - for both mum and dad. She is incredibly professional whilst also making me feel relaxed and laid back. I really felt like she took the time to offer techniques that were right for me and my baby and her follow up after appointments is great too. In little under a week, I feel confident, positive and excited to be feeding my baby successfully - all thanks to Sarah. I would highly recommend her to any new mama's, what an absolute gem! Sarah was a lifesaver ! Helped me feed my son more efficiently and stress free. She also detected the source to my struggles that my doctor had missed . She is so patient , explaining things in simple terms so everything is understood . I would highly recommend hiring Sarah and even a seasoned mom can most definitely gain from a session with her . Sarah is absolutely amazing! She worked with me and my newborn in my home and I went from being nervous and stressed out to confident and energized about breastfeeding. Sarah taught me a variety of techniques to reduce pain and help my baby latch on properly. She was non-judgmental, professional, knowledgeable, and very, very nice! I would highly recommend Sarah to every single new mother struggling with breastfeeding issues. Sarah was fantastic in every way. She responded to my initial email within hours and came to my home hours later. She really spent the time needed to identify my needs and coached me through the essentials of breastfeeding with a focus on the specific needs of my newborn. Sarah is incredibly knowledgeable for someone so young and it was meaningful to me that she has a young baby at home. Hands down the best money I've spent on my newborn. Thank you Sarah!! Sarah was professional and knowledgeable. She gave me many suggestions and helpful tips. My baby went to the therapy she suggested and with that and other advice, my baby is nursing better and my milk supply is increasing. I had a wonderful experience working with Sarah. She is warm, patient, and makes you feel very comfortable. And she also know her stuff really well. She's balanced and not extreme. I'm really very thankful- after meeting with her I was able to nurse my baby which I was having a lot of difficulty with before. She keeps up with you and doesn't make you feel bad for calling. On the contrary, she is very encouraging! Thank you Sarah! Sarah was a fundamental help for me. As much research and reading I did before and after delivery of my baby boy, I felt that there were very high expectations being set. After delivery, I was confused because I was having difficulty. What I read online and through books only made me feel insecure, and I began to wonder if I could make this happen. I found Sarah and we had a consultation. She listened to every concern as it came up and throughout out consultation, she repeatedly reassured me and equipped me with more information and strategies. Sarah was able to teach me about breastfeeding in a way that no one had. Sarah had set me off on the right path. I have been able to reach out to her by email and she has written me back with advice and with links to articles and videos to view. Having Sarah at home with me and my baby was also a wonderful experience. I was at ease and I didn't feel like I needed to hold back with my questions. Sarah is truly a knowledgeable expert, but is very respectful and understanding. What I needed was a guide and Sarah has become that for me. I feel that my success breastfeeding was largely due to Sarah's guidance and support! Sarah was a fantastic help. She immediately understood the problem we were having and had a solution that fixed everything right away. We are so grateful that she was able to meet with us on short notice and help us start off breastfeeding with ease. My baby is eating like a champ and I know it wouldn't have been as easy without her wise advice. We are glad that we met Sarah! It was a great experience: lots if interesting, useful and helpful information! Thank you! Will definitely recommend to my friends! Sarah was very clear and arrived on time for the scheduled appointment. She is easy to talk to and obviously very knowledgable about the subject matter. I like that she gives real examples of situations without compromising HIPPA rules which makes me feel additionally comfortable, very professional. Your tips were extremely helpful and I was able to see a change in the way my baby latches on and eats immediately! Sarah is incredibly knowledgable about all things related to babies. Sarah identified my low milk supply and our son's tongue tie right away and gave us a clear, thoughtful, manageable care plan to get on track, which we are doing only 1.5 weeks later. She is incredibly thoughtful and sweet, and very easy to work with. She is also very available by phone and email and has given us a ton of useful info, videos, ideas. I highly, highly recommend Sarah, we would not hesitate to work with her again. Sarah was calm and open and very professional. She gave me options and was flexible to what did and didn't work for me. I am hopeful that the combination of adjusted latch and the exercises to retrain my baby and stretch his upper frenum will allow to avoid a surgical revision. I would definitely recommend her to other mothers. Sarah was absolutely wonderful. She was informative, caring, and helpful. As a new mom she made me feel extremely comfortable with nursing. She explained/showed me how to properly feed my newborn. I would definitely recommend Sarah to others! Thank you Sarah! Sarah is very knowledgeable and quick to respond to calls and emails. She has a very calming personality making our sessions very comfortable. Outside of her visits she follows up with additional resources that are very useful. I have already recommended her to other friends! I was extremely happy with your service. You were very thorough, and integral to getting me on the right path to an easier latch for my baby. I've already recommended someone to you who used you as well! Thanks for everything! Sarah was able to see me nearly immediately and she spent almost 2 hours working through every aspect of my daughter's feeding needs and breastfeeding issues. She is wonderfully personable and matter of fact-both of which are very reassuring. Sarah was kind and patient and presented a clear plan to help me feed my child during a very stressful time. Sarah was extremely patient, knowledgeable and warm. She made me feel comfortable and understood while giving me practical, informative and helpful advice. I would highly recommend her to all new (and no so new) moms! Sarah came to our apartment to help us with latch questions and concerns. Sarah was very helpful and I appreciated her confidence. She seemed at ease with what she was sharing, and that helped me feel more comfortable. I was extremely nervous to meet with a lactation consultant when my 2 week old son was having major issues learning how to nurse. After a bunch of people recommended Sarah Eichler, I finally caved and I'm so glad that I did. She was so warm, patient and reassuring during our home visit, and my son actually nursed for the first time that day. I can't thank her enough!! Sarah was very helpful, and gave us concrete suggestions on things to try when she left. We have made some big improvements in breastfeeding since Sarah's visit. She was also very accessible after the visit--both on the phone and via email. You're a miracle worker! My baby is nursing without any issues from the minute you came. Thank you so much- I will most definitely be letting my friends and family know what a lifesaver you were. Sarah you were so patient, clear and thorough. Thankfully I believe we successfully found the problem and I am working on correcting it. Thank you for answering all my questions and concerns with such patience. You were so sweet and pleasant! Thank you for your fast accommodation and keep that open, kind and confident personality of yours! You helped me a lot and appreciate it. The advice you gave me was great and glad I got it to prevent infections and help with discomfort. Thanks again. Thank you Sarah for all your help! I loved learning new techniques such as finger feeding and how to increase my milk supply. You're a great teacher. 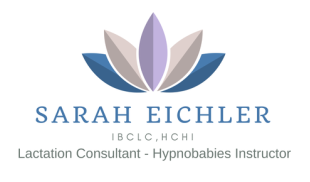 We really appreciated Sarah's prompt response and attention as I was personally in a lot of discomfort with breast engorgement and feeling like breastfeeding wasn't going to work for me. Sarah came to the house and got stuck straight in, explaining things clearly and concisely, and I felt so much more relaxed and confident after her visit. everything was great! best moneys i ever spent! sarah pointed so many things we were doing wrong with our 3 month old baby and my latch improved from 3 month suffering and pain into natural completely pain free breastfeeding!!! highly recommend!! Sarah was wonderful! I came to her after my baby, Mila, went on a mini-nursing strike right after I returned to work. I felt overwhelmed with pumping at work and stressed about pumping the right amount. And I was scared because my baby didn't want to nurse from the breast. Sarah was so calm and sweet, and she showed me a ton of great techniques for breastfeeding and pumping. I feel so much more confident about being a working mom and breastfeeding, and I am so grateful Sarah was able to see me at such short notice! Going to see Sarah was one of the best decisions I've made since becoming a mom! Sarah was more helpful than I could have hoped for. I wish I had called her the first week I took my son home. Everyone said that everything was fine with my breastfeeding but I knew it wasn't and Sarah found that my baby has a tongue tie which makes it difficult for him to breastfeed. This has since made all of us relax more as we are working to fix this. Also her techniques for upping my milk supply are already working. I am truly grateful to her. Thank you for your help, and a big thanks for the follow up phone call! Even though everything's been going well for us, I sincerely appreciated the follow up call. It's nice to know you're looking out for us and that you care about our progress. Thanks for coming I'm glad to know what the problem was and to have a solution to fix it !!! Lieba seems so much happier now that her little tummy is full ! Overall, I found the consultant extremely knowledgeable and professional. She was respectful of my breast feeding preferences. I would definitely recommend her services to moms in need. Sarah was a great and calming presence when I needed it! She taught me how to pump effectively, and I'm so thankful for that! Sara was amazing. She is so warm and nice and was incredibly helpful! Thank you sarah! Sarah was a pleasure to work with. It is never comfortable to have a "stranger" at your home, but Sarah never felt like a stranger. She was very sweet, helpful and made me feel as though she was simply an old friend there to help me through a difficult time. I would recommend Sarah to anyone! Sarah was extremely helpful in identifying the source of our breastfeeding challenges - a tongue tie. Our newborn was extremely frustrated at the breast, which made us very anxious. Sarah's help put us at ease and helped us find a feeding solution that works well for our family. Our daughter is now easy-going, happy, healthy, and thriving. Sarah was such a huge help to me as a new mother. Our baby was breastfeeding but not gaining weight adequately in her first week. Sarah came over the same day I contacted her, spent a few hours with us at home and helped us figure out what was going on and how to correct it. After implementing Sarah's plan, our baby gained 8 ounces in one week! Even after the breastfeeding was on track, Sarah called and texted me several times to check in and make sure all was still well. In addition to fixing our breastfeeding issues, Sarah encouraged me to trust myself as a mother. That positive reinforcement was so helpful when I was questioning myself and struggling with all that goes along with a newborn! I can't recommend or thank Sarah enough! I loved having sarah's help. Not only did she explain to me my diagnosis, she also emailed me more information and helpful links to read on my own and learn more on how to better my nursing experience. Sarah is knowledgeable, super sweet, and will for sure give ur nursing experience the best kickstart!! Ps: baby's pediatrician was very pleased to hear that i chose sarah to be my lactation consultant! Thats a bonus!! Sarah came to my apartment within a day of my contacting her, which was amazing. At the time I had a two-week-old and was having pain during latching and felt like I needed help immediately because it was so painful and frustrating. She brought all of her equipment to me which was amazing; at that point, I wasn't in a place where I was excited to bring the baby out and about with me and the house call was much appreciated. She showed me techniques to make feeding less painful and I'm grateful for her support and expertise. It took some time to truly get used to it, but it's three months later and we're still breastfeeding happily and successfully. Sara really helped me a lot. I had been to another lactation consultant before but was still not really having success with nursing. She came to my house and showed me techniques to help my baby nurse properly. She is very personable and really seems to care which is really important to me. I would definitely recommend her to my friends. My baby nurses great now, and I really feel that I have her to thank for it. Sarah recommended that my son see an ENT due to his tongue being tied. When I called the doctor she recommended I was told I wouldn't be able to see him for months. She took it upon herself to call and got me an appointment the next day! She was great with following up with me via email, text or phone which made me feel like she genuinely cared about my progress with my son! I really appreciated it. My husband was even impressed with her service and speaks very highly of her. Thank you so much for your help. I was having a hard time nursing my newborn baby boy. My mother called Sarah for me, and even before coming to see me, Sarah spent a good 20 minutes talking to me on the phone, advising me what to do. First thing Sunday morning, Sarah was in my house giving me her hands on help. She was so patient with me, and with my baby. Sarah was not only concerned about my baby's eating/my feeding, she constantly asked about myself and how I was feeling. At the end of the consultation Sarah told me that I can call her at any time-and she literally meant it! If I didn't call Sarah to check in with her, she called me to check up on how I was doing! She always answered my calls and always gave me as much time as I needed. Sarah even came to my home for a second consultation! What could be a slightly awkward experience was so comfortable and easy with Sarah. I know that even before my next child is born G-d willing I will be paying a visit to Sarah to properly prepare myself for breast feeding. Thank you, Sarah! Thank you soooo much for all your tips! It was so helpful. By the next feeding she was able to nurse :) and she's been nursing well at each feeding. I was sure that I couldn't do it, but all of the tips and advice that you gave me really worked. Thanks again! I highly recommend Sarah! She is very understanding of your concerns and takes the time to explain everything and really works with you! She will not leave till you are 100 percent comfortable with everything! In addition, I love it that she is always available after the session! Overall I was extremely happy with the service I got from Sarah! Sarah was very helpful and presented information regarding breast feeding that I was not aware of. I found that it helped my situation improve and would recommend her to friends. With my first baby I had a hard time nursing due to a low supply of milk. With my second baby a friend suggested I get in touch with a lactation consultant to see if they can help me nurse more successfully. I must say that I was apprehensive as I doubted whether anything would really help but I called Sarah and must say it was worth it. From the moment she came to my home, set up her scale and started working with me I never looked back. She was knowledgeable, compassionate, kind and very patient. After the consult Sarah wrote up a care plan tailored to my needs and encouraged me to follow up with any questions I might have via phone, email or text which I found very comforting. Within a few days my supply was going up and now my baby is able to nurse full time without the need to supplement. I would not have been able to succeed without her. I felt that the service was good and thorough. The follow up phone call was also appreciated. I definitely felt that Sarah was available for my questions/concerns via phone or email after our visit. I would definitely recommend her services to others. Since our visit my son has been breastfeeding much better and gaining weight steadily.